Your diet plays a profound role in your heart health. Learn what foods to include in your diet to benefit your heart. February is all about hearts—not only is it just about Valentine’s Day, but it’s also American Heart Month. This is the time to re-evaluate your lifestyle and make changes that can really improve your heart health. One of the changes you can make is watching what you eat. There are plenty of heart healthy foods you can add (or increase) in your diet to help lower your risk of heart diseases. Here, we break down what those foods are and what foods that you should try to avoid. But, there is good news! There are steps that you can take to improve your heart health and reduce your risk of heart disease. In conjunction with exercise, your diet plays a critical role and can make a big difference. There are many foods to improve your heart health and keep it strong. You probably already guessed that fruits and vegetables would top the list, and you’re right. Increasing your intake of whole, unprocessed foods in your diet can do wonders for your heart health. Croatto explains, “Fruit and vegetables are abundant in phytochemicals (a fancy name for healthy plant chemicals), antioxidants, and fiber, which is all great news for your heart!” This is why the American Heart Association recommends that you eat a minimum of eight servings of fruits and veggies, per day. Different colored fruits and vegetables play different roles in your body. For example, dark leafy greens are rich in vitamins A, C, E, and K. Vitamin K, in particular, helps your blood clot correctly. Blue and purple fruits and vegetables like blueberries and eggplant contain anthocyanins. These are natural plant pigments with powerful antioxidant properties that can contribute to a reduced risk of cardiovascular disease. So, make sure that you eat all of the colors of the rainbow. You’ll get the range of nutrients that you need. Not to mention, your meals will look more appealing (#foodporn)! But, if you have trouble getting your servings in, try mixing things up and make a smoothie or a refreshing juice. By reducing blood pressure, fish can also lower the risk of developing a blood clot. According to the American Heart Association, you should aim for two servings of fish, per week. An easy way to consume more heart healthy foods is by simply using extra-virgin olive oil in your cooking. By doing so, you can reduce LDL cholesterol, “the kind [of cholesterol that] you want to lower.” Not only that, but it also helps “boost heart-healthy HDL cholesterol,” says Croatto. This source of monounsaturated fats and antioxidants also assists in preventing inflammation, thus decreasing the risk of heart disease. Nuts may come in just a handful, but they have big benefits. In fact, eating a small handful of nuts every day can significantly lower your risk of heart disease by 30 to 50 percent, explains Croatto. “They are rich in heart-friendly fats, fiber, and vitamin E,” she adds, which prevent plaque from developing in your arteries. Eating a variety of nuts can help improve your heart health. Studies have shown that a walnut-enriched diet lowers the risk of coronary heart disease. Also, according to the Nurses’ Health Study, there’s a correlation between nut consumption and the risk of coronary heart disease in women. Those frequently consumed nuts (approximately five oz.) per week, “had a significantly lower risk of total coronary heart disease” than those who ate only one oz. of nuts, per week. While there are many heart healthy foods you can eat, there are also others that can set you back. Not surprisingly, processed foods and trans fat are on the list of foods to avoid. 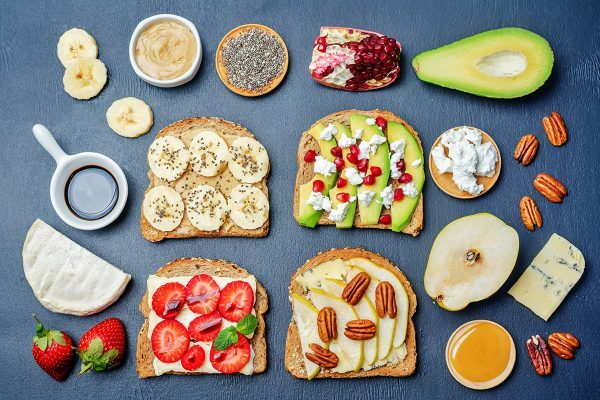 Croatto explains, they’re “all nutrient poor and often loaded with unhealthy fats, salt, [and] preservatives.” Ultimately, “they do nothing for your health.” Also on the no-list are highly refined grains—white bread and white flour—and foods with high sodium levels. 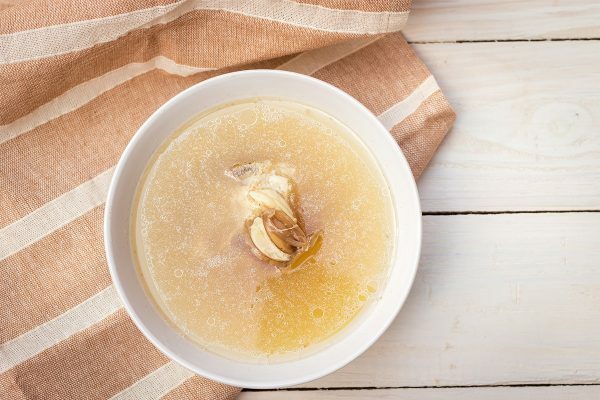 What Is Bone Broth and Why Should I Drink It? This isn't your grandma's homemade soup! You asked questions and our experts answered them.